The 30th International Conference on Computer Animation and Social Agents (CASA 2017) will be held on May 22-24, 2017 in Seoul, South Korea. Seoul is the metropolitan capital of South Korea with modern skyscrapers, high-tech subways and pop culture as well as Buddhist temples, palaces and street markets. The conference venue is very close to Gangnam District, one of the hubs in Seoul for food, shopping, entertainment, and tourism. 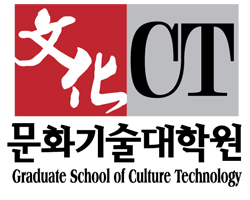 The conference is organized by KAIST and sponsored by the KAIST BK21 Plus Postgraduate Organization for Content Science and Computer Graphics Society (CGS). The conference is held in-cooperation with ACM SIGGRAPH. CASA is the oldest international conference in computer animation and social agents in the world. It was founded in Geneva in 1988 under the name of Computer Animation (CA). In the last past ten years, CASA was held in Switzerland (2006), Belgium (2007), Korea (2008), Netherlands (2009), France (2010), China (2011), Singapore (2012), Turkey (2013), United States (2014), Singapore (2015), and Switzerland (2016).